You Must Create, or YMC for short, are a bit of an odd brand. They are 20+ year veterans of the British menswear scene but unlike their peers—APC or Folk—you’d be hard pressed to describe their aesthetic. YMC have no trademark look or mood to be labeled with. Instead, they are conceptually driven—an approach most brands wouldn’t or can’t allow. 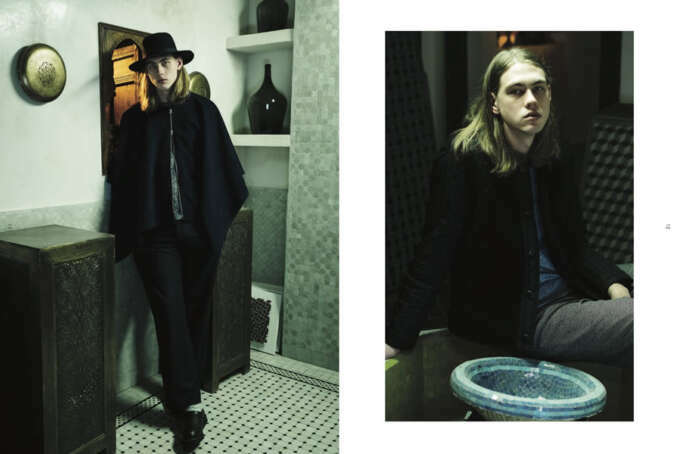 Their collections seem to always pull in youth culture references and ties to musical movements. 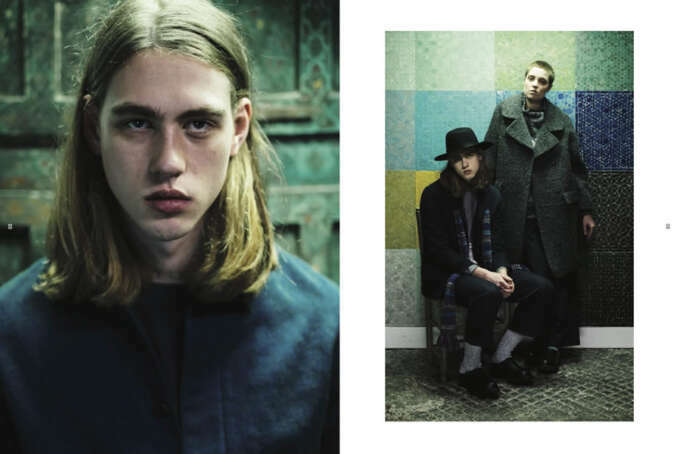 They could be based on ’50s French bohemia one year and ’80s Scottish post-punk the next. Even if you're not crazy about one season’s direction it’s always interesting to see where they’re coming from and what they’ll do next. 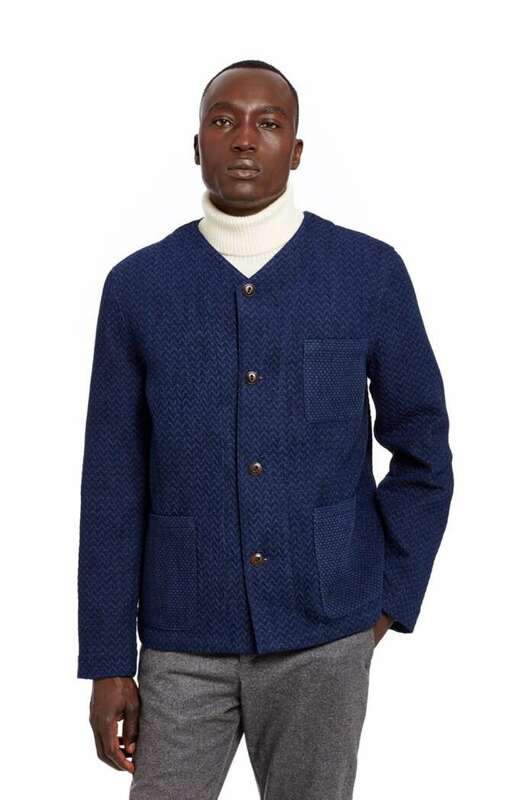 The YMC AW16 collection wore its 1960s inspiration on its sleeve. The first look at their collection was intriguing. Obviously 1960s and 70s influenced but almost entirely monochrome—a contrast to the usual kaleidoscope of colours we associate with those decades. Muted greys, blacks and deep blues made up the majority of the pallet. Unusually, the name of each item gave clues to their inspiration making the thinking behind each garment clearer and more interesting. 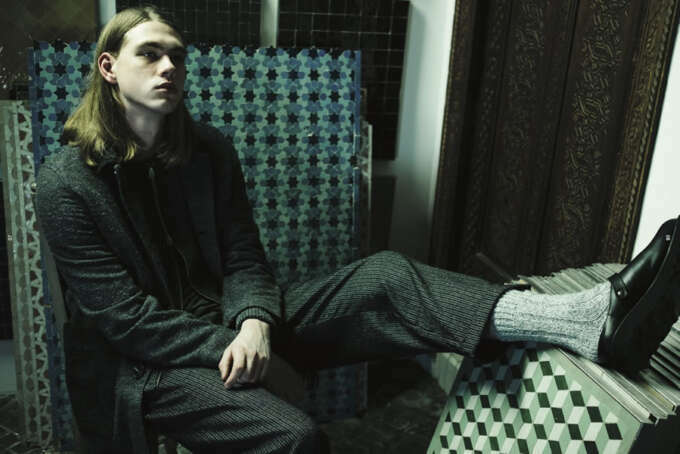 YMC AW16 draws on a period where psychedelic music got dark and counter culture looked to old traditions, new age spirituality and radical politics for inspiration. The 1960s is generally seen as a time of optimism, change and social progress. Less remarked upon is by the end of the decade with the Vietnam war dragging, student-led political movements failing and a harsh establishment led crackdown on drug use the optimism had curdled. 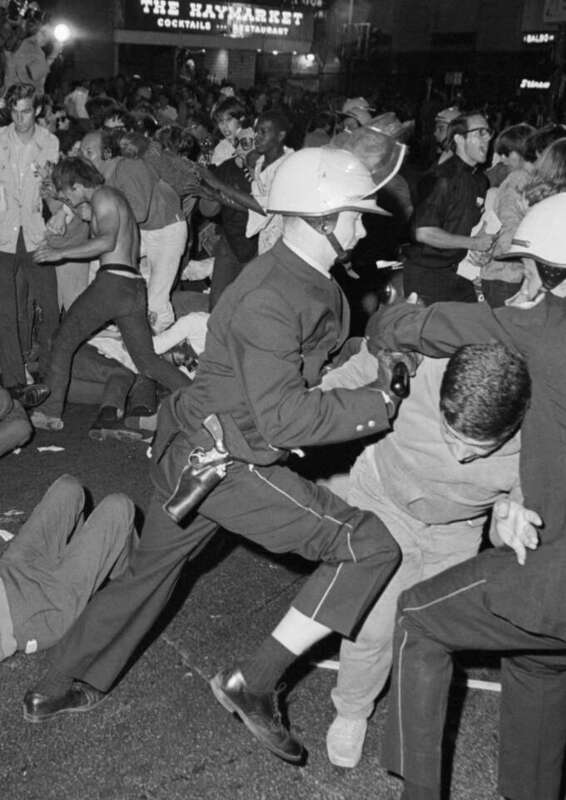 This is apparent in eruptions of violence such as the 1968 DNC and music of the era. Compare The Beatles dreamy Strawberry Fields from 1967 to the supremely paranoid Helter Skelter two years later. The YMC collection draws on this late ’60s and early ’70s mood of darkness and retrenchment in a really interesting way with references both to the harder, heavier psychedelia and the acid-drenched folk that defined the era. The pieces throughout the collection are named for their inspiration. We've taken our favourites and teased out the cultural meaning to give a fuller look at an excellent season. 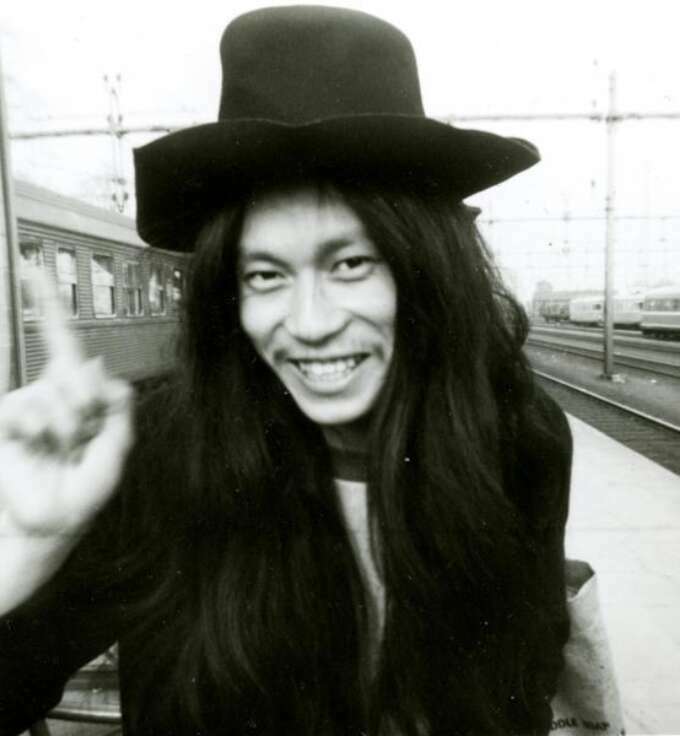 The YMC Damo Suzuki jacket and the man himself. 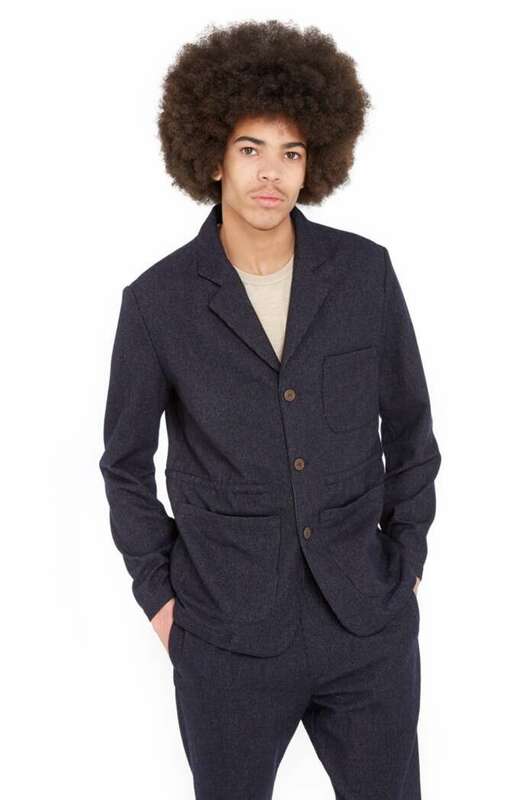 First up is this fantastic indigo overshirt, named for the Japanese singer of the German experimental group CAN. 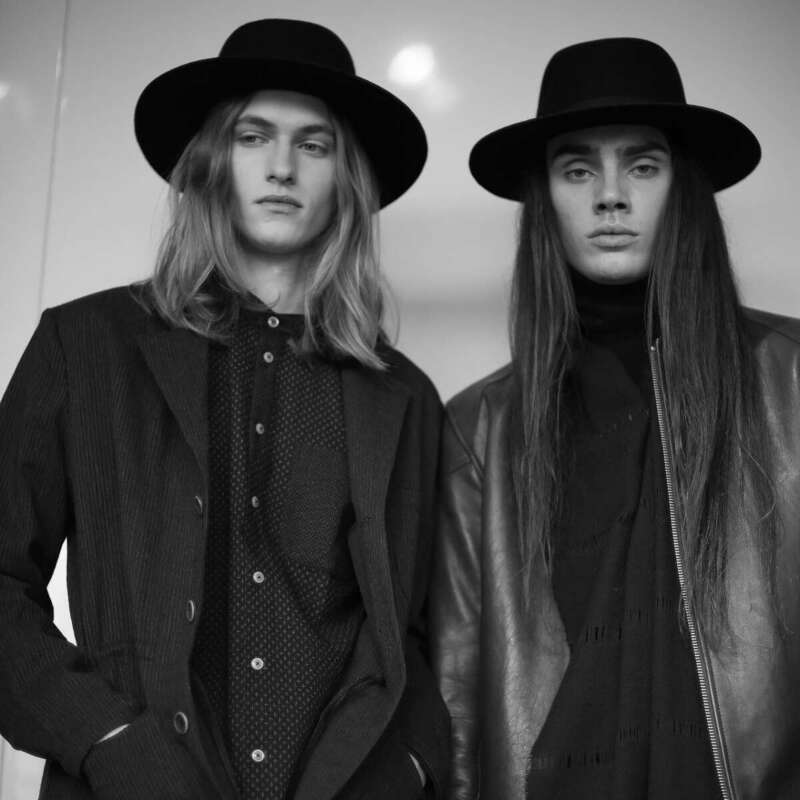 Suzuki is clearly something of a muse for the season as the models were seen clad in his trademark wide-brimmed hats throughout the campaign and runway. CAN was a hugely influential group whose jazz and minimalism infused psychedelia would inspire generations of musicians. Their song Vitamin C was recently used to great effect in the film Inherent Vice. Members of Amun Düül II. 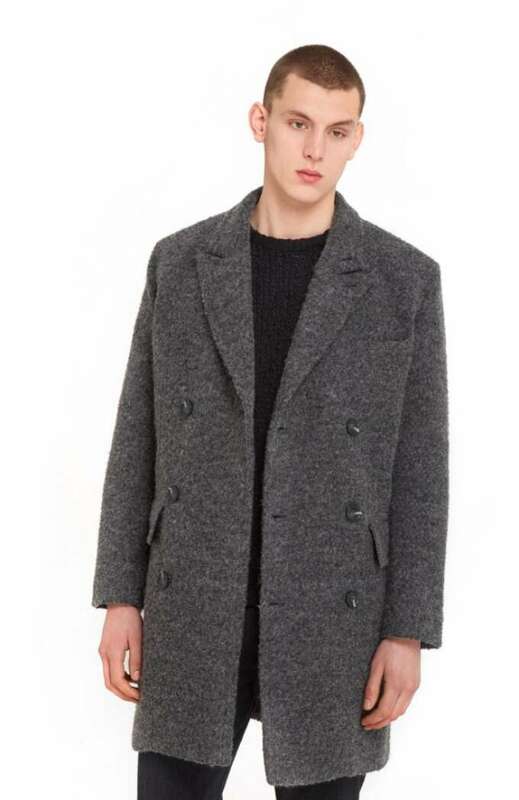 This piece has been in previous YMC collections but this season it seems to be in a more relaxed cut, in a wool blend. It's most interesting detail is the drawstring waist, giving it a defiantly casual air. It's named for another German psych group—Amun Düül. 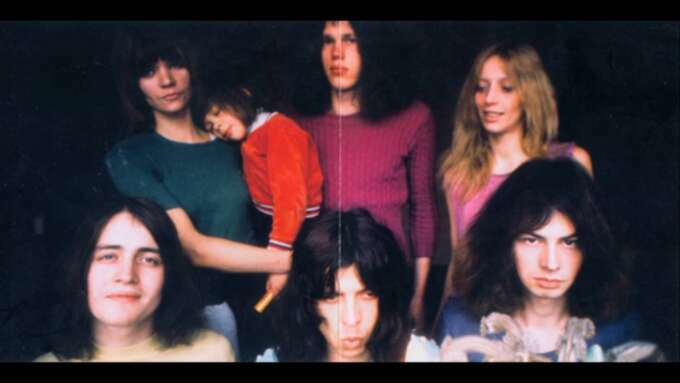 On the wigged out experimental German rock scene of the 1960s-1970s (retroactively dubbed "Krautrock" by the British press, a name despised by its participants) few bands were as fully wigged out as Amun Düül. 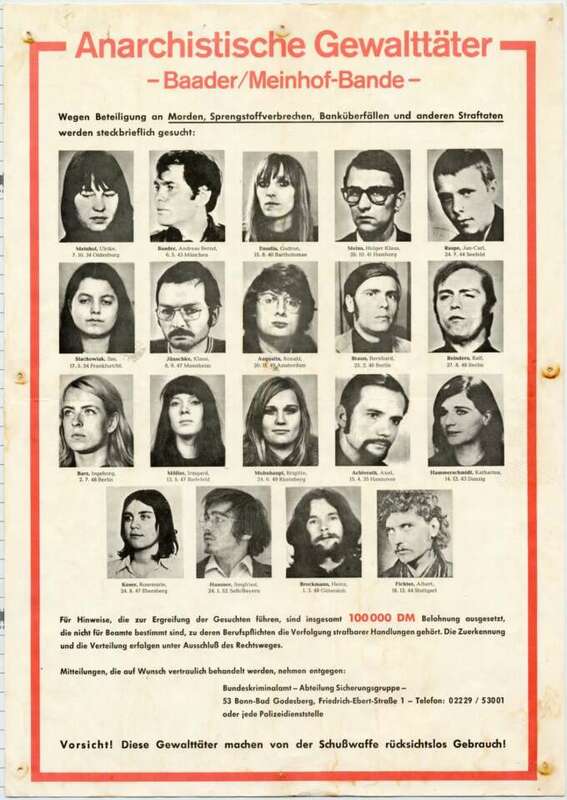 Düül was born out of the same Munich based commune that would spawn members of the radical terrorist group Red Army Faction (also known as the Baader-Meinhof gang) and began as a huge, largely improvisational band before recording a number of influential albums starting in 1969 under the name Amun Düül II. 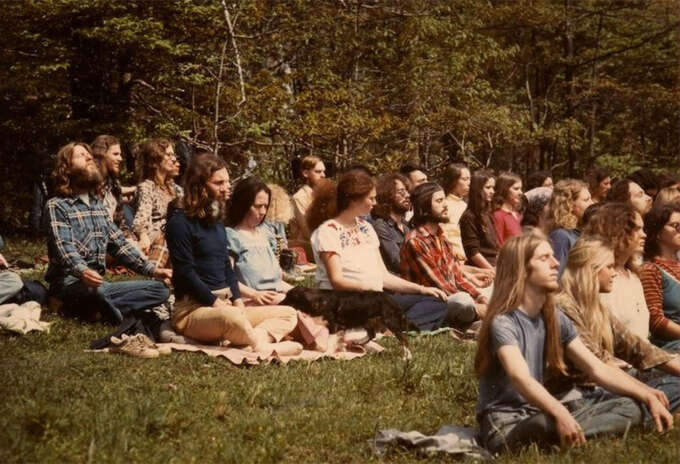 Essential listen: Archangel Thunderbird from 1970’s Yeti album. 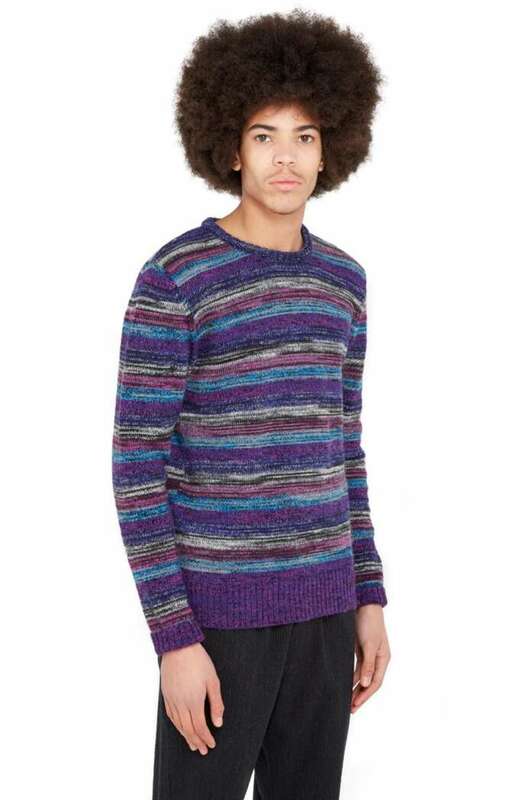 The Wickerman jumper is one of the best pieces of 1970s referencing knitwear we've seen this season. These blended yarn pieces were a classic piece from the era. The name obviously references the brilliant cult horror film of 1973 "The Wickerman" which follows the efforts of a detective sent to an isolated island to investigate a young girls disappearance among a heathen cult. It's a brilliant film but the soundtrack by American Paul Giovalnni is also notable with it's blend of classic British folk and Psychedelia, in particular Willows Song. 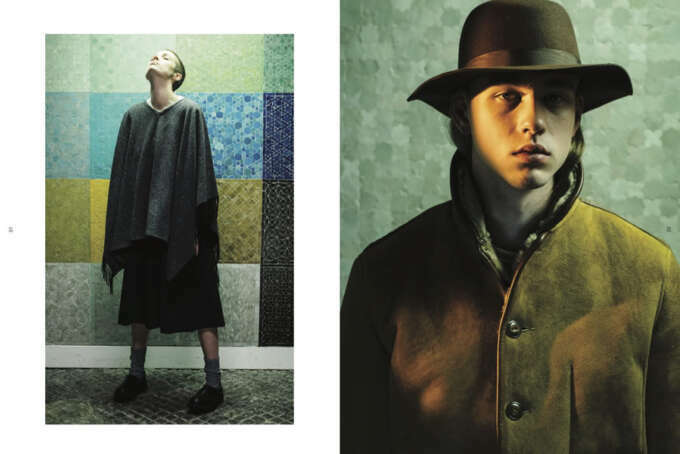 YMC Hawkwind coat and Fairport Jacket. 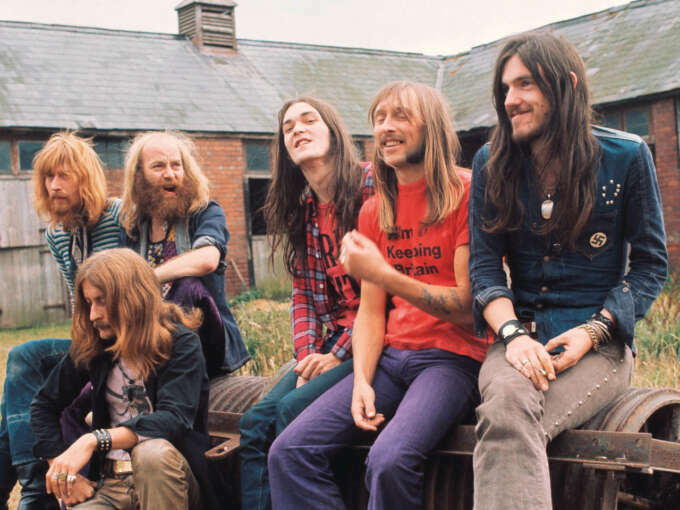 Hawkwind pictured in 1970 with Motorhead's Lemmy far right—with a suspect Nazi badge. 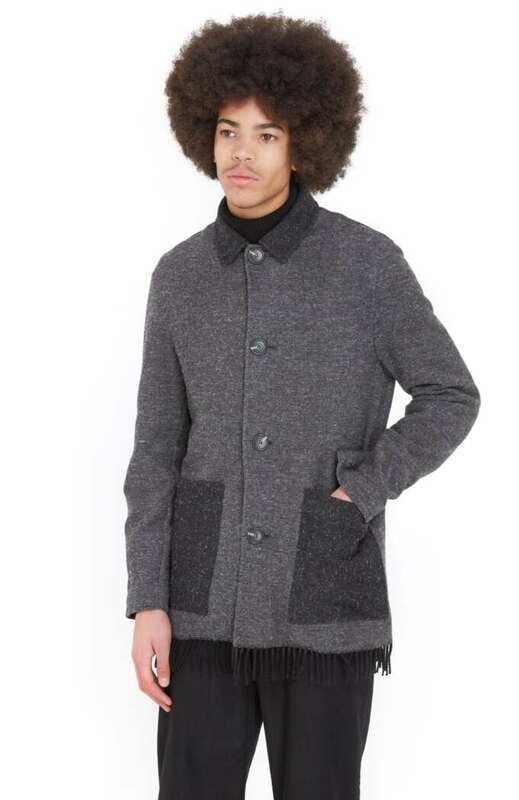 Our two favourite pieces of outerwear in the collection take the hippie silhouette and render it in flannel grey to make some highly attractive and wearable pieces with just enough texture and character to make them interesting. The pieces both reference stalwarts of the late ’60s and early ’70s British music scene—pyschedelic space rockers Hawkwind whose music was famously improvisational and wide ranging—as well as being the launch pad for Motorhead's Lemmy—and Fairport Convention who fused their early American folk and psych influences to ancient British ballads and traditions to make an incredible fusion of styles. 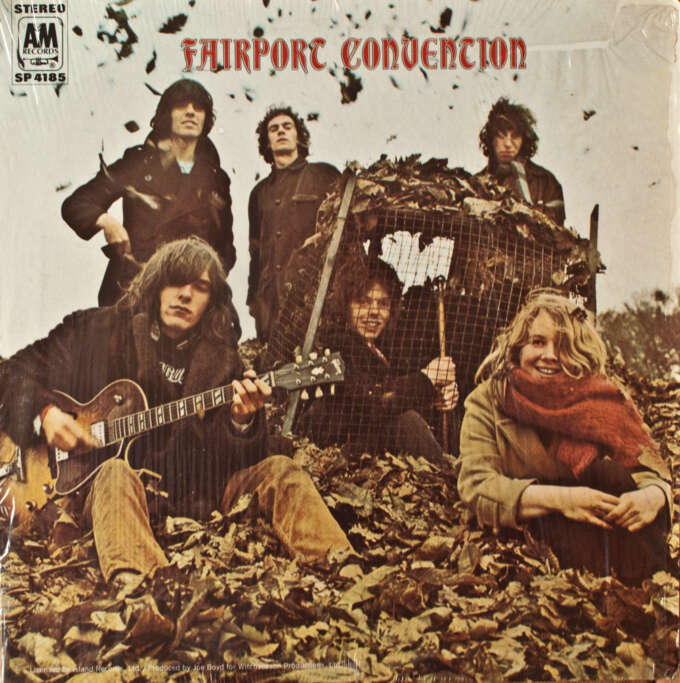 Essential listening: Hawkwind - Hurry on Sundown, Fairport Convention - Tam Lin. 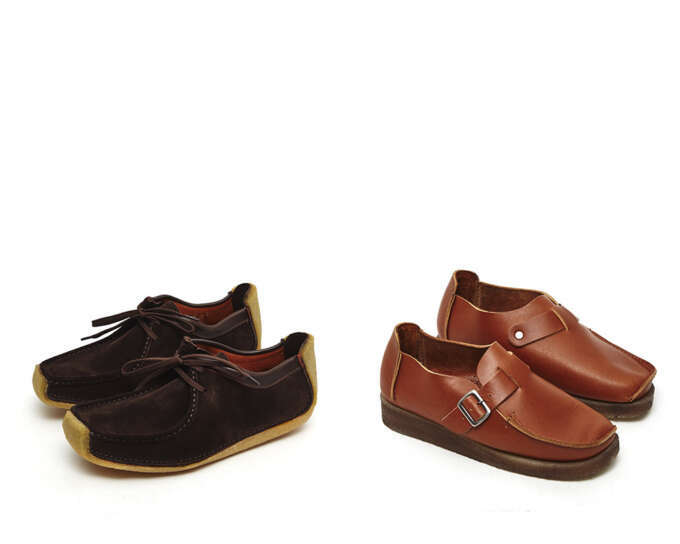 Some of YMC's collaboration with Irish shoemakers Padmore & Barnes. Maybe our favourite pieces from the entire collection was the footwear collaboration with Irish shoemakers Padmore & Barnes—the original manufacturers of many of Clarks classic shoes. The collaboration has some retoolings of cult designs from the 1970s like the Natalie but it also takes the Wallabie style and gives it a strongly folkloric feel with monk straps and Tyrolean-style side fastenings. Like a lot of 1970s design there is something aggressively ugly about their chunky aesthetics but they capture the mood and feel of that era nicely.